Google’s new Pixel 3 smartphones attempt to push the computational photography envelope, challenging Apple’s new iPhone XS a Samsung’s Galaxy S9. As with last year’s Pixel 2, Google is further flexing its artificial-intelligence muscle, with more and more local AI-driven features across every facet of the device, from the camera and smart Gmail replies to battery life and device control. The Pixel devices look familiar on the outside, with a two-tone back that is now all glass with two finishes – polished at the top and etched at the bottom. Both devices come with increased screen sizes and IP68 water resistance. The Pixel 3 adopts the design of the Pixel 2 XL but shrunk from 6in to 5.5in diagonally, a gain of 0.5in in screen size over last year’s Pixel 2. 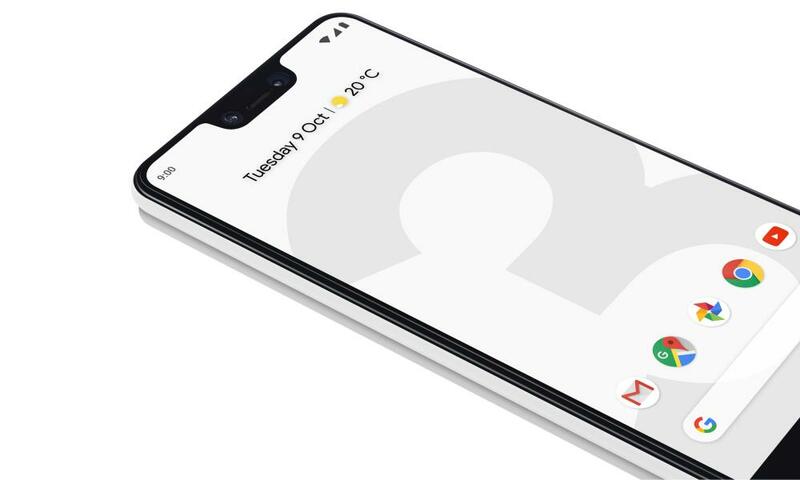 The Pixel 3 XL stretches the display to 6.3in diagonally, adopting the on-trend screen notch and resembling the OnePlus 6 in the process. Both devices have similar body dimensions to their predecessors, along with front-facing stereo speakers, a fingerprint scanner on the back and now 10W wireless charging. They both share the same top-of-the-line Qualcomm Snapdragon 845 procesor, a choice of 64GB or 128GB of storage, 4GB memorije, new Titan M security chip and cameras, making screen size the big differentiator. The Pixel 3 smartphones also now have a dual selfie cameras on the front consisting of one standard and one wide-angle, which are used to enable wide-angle group selfies and zooming. Google said its custom Pixel Visual Core AI chip can correct the distortion caused by a wide-angle lens on the fly, while its Photobooth mode can be left to continue capturing photos when faces are detected and people smile. The rear camera on the back remains a solo 12-megapixel system, but gains several AI-powered features on top of the existing HDR+ system that has proven effective at capturing images with excellent detail, contrast and dynamic range in challenging lighting conditions. The first is a feature called Top Shot, which shoots lots of HDR+ shots before and after you hit the shutter button. The system then suggests a superior shot if your intended photo isn’t the best of the batch using on-device machine learning to identify things such as hair covering the face or unintentional blinks. The rear camera also has a new system Google calls Super Res Zoom, which compensates for the lack of an optical zoom by using a computational photography technique typically used in satellite imagery. Harnessing the natural shake of the human hand when a photo is captured, or simulated oscillation if tripod-mounted, the camera shoots lots of images at subtly different angles blending them together to add detail to the image as you zoom in. The effect is a vastly improved digital zoom that Google says rivals the best optical zoom on any smartphone. Google is also introducing a computational photography technique called Night Sight, which can capture natural-looking photos in the dark without a flash and will be rolling out as part of a software update later this year. The Pixel 3 is also the first smartphone to build in Lens directly into the main camera view, and not as a separate mode; Google’s machine vision-powered search system recognises objects, tekst, posjetnice, QR codes and other things. Google’s AR Playground also gains more interactive stickers and contextual suggestions that react live to things such as facial expressions in the camera app. 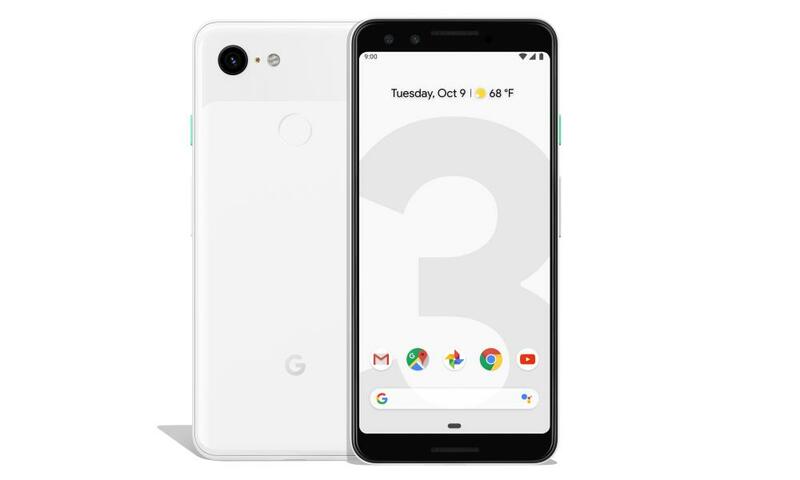 The Pixel 3 will also be the first to introduce Gmail smart compose features to the mobile app and a new Shush Mode that enables Do No Disturb when the phone is placed screen-side down, alongside Google’s existing digital wellness controls to prevent smartphone addiction and machine-learning systems for brightness control and battery life preservation. 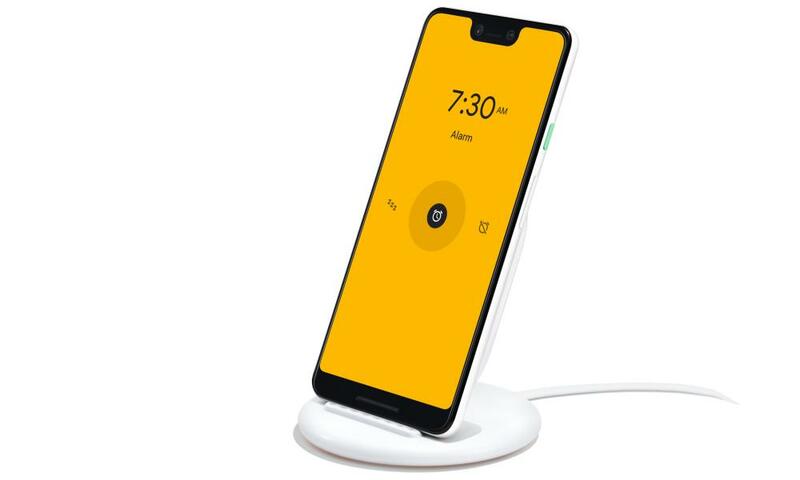 With the Pixel 3, Google is also launching a wireless-charging accessory called the Pixel Stand that turns the smartphone into a Google Assistant smart display, capable of pulling duty as a Google Home with a screen. Features include a sunrise mode that will light the room with warming colours immediately prior to a wake up alarm, a digital photo-frame mode and compatibility with Google’s Nest cameras. Both phones will be available in three colours: Crna,white and pink. The Pixel 3 will cost £739 with 64GB and £839 with 128GB of storage. The Pixel 3 XL will cost £869 with 64GB and £969 with 128GB of storage. 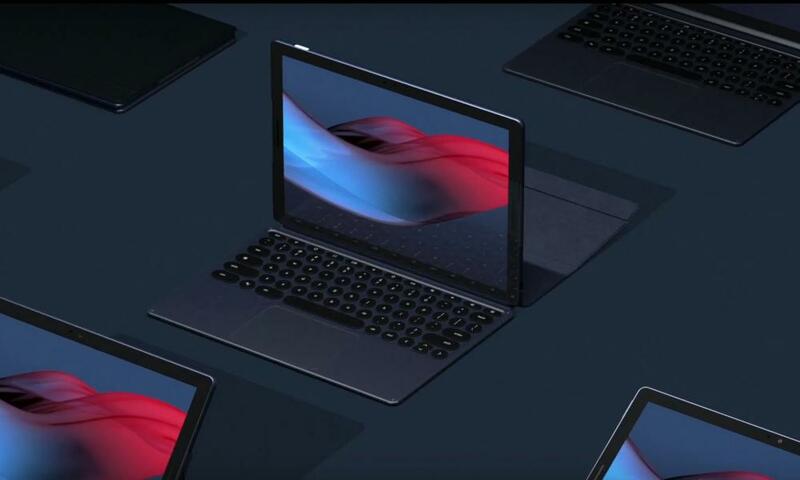 Alongside the Pixel 3 smartphone, Google also unveiled a new Chrome OS tablet called the Pixel Slate, which can be paired with the Pixel Slate Keyboard to create detachable laptop with a full trackpad, following on from last year’s high-end Pixelbook 2-in-1. The Pixel Slate has a high-resolution display with a screen density of 293 piksela po inču, similar to some smartphones, and dual front-facing speakers. There’s a fingerprint scanner embedded within the power button, while the backlit keyboard attaches magnetically to the bottom of the tablet, closing over the screen to create a case similar to designs used by Samsung’s PC tablets. After the demise of Android-based tablets from all but budget media consumption devices, Google will hope its Pixel Slate can challenge both Apple’s iPad Pro and Microsoft’s Surface range of detachable Windows 10 machines including the recent lower-cost Surface Go. The Pixel Slate will cost $599 when it is launched in the US later this year, with the keyboard costing $199 and a stylus $99. Google also unveiled a revamped version of its Chromecast streaming stick, and a new Google Assistant-powered smart display called the Google Home Hub, which competes directly with Amazon’s Echo Show alongside Google Assistant smart displays from Lenovo, Harman and LG. The smart display will have customised versions of Google’s search, Karte, YouTube, Calendar and Photos. It will also have a new smart home management system called Home View aimed at simplifying the controls of lights, thermostats and other devices. 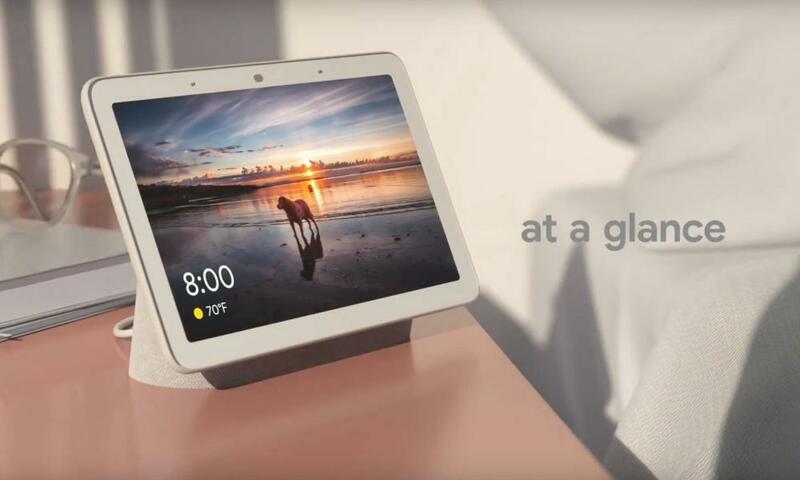 The Google Home Hub will cost $149 u SAD-u, available for pre-order from today.